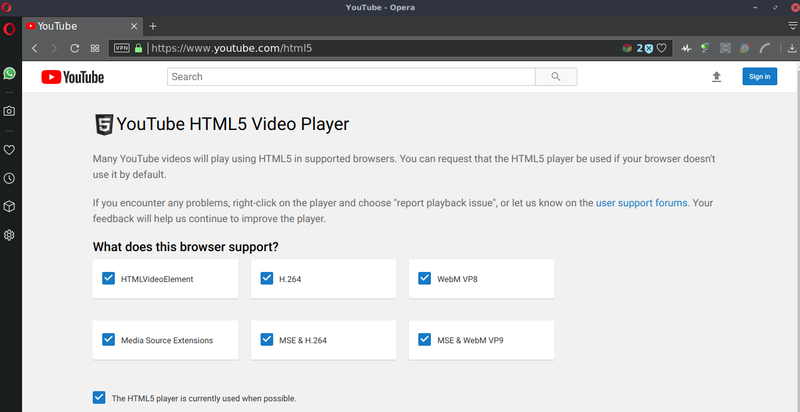 The trick was to download the 'chromium-codecs-ffmpeg-extras' package for Ubu Cosmic, strip out 'libffmpeg.so', and replace the default one in the Opera lib. Man, I didn't realize how many sites use H.264 - every site I normally visit, actually. Guess I can purge Chromium now. It doesn't hold a candle to Opera anyway. c) add optional support for widevine (netflix). If they did those 3 things I'd seriously consider it as our default .. but the first two make it useless to us. Yup. That's the problem - too many copyrights for the Opera devs (and SMF) to deal with.